“President Momis has been informed of whatever talks we have with other shareholders of BCL, only because the State is a second biggest shareholder. 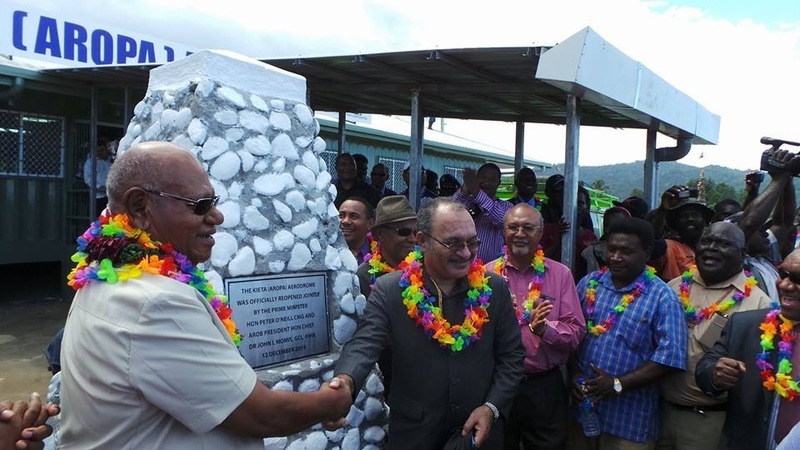 My statement in Arawa and Panguna remain very relevant today, that there are no mine opening talks until landowners and the people of Bougainville are ready. President John Momis has called for the Prime Minister O’Neill and the global mining giant , Rio Tinto, to reveal any dealings between PNG and Rio Tinto in Rio Tinto’s shares in Bougainville Copper Ltd (BCL). Rio Tinto is the majority shareholder in BCL, with 53 per cent equity. In August 2014, Rio Tinto announced a review of its investment in BCL. “We have had discussions with other shareholders of BCL on a range of issues including the reopening of the Mine and disposal of shares by existing shareholders including Rio Tinto. 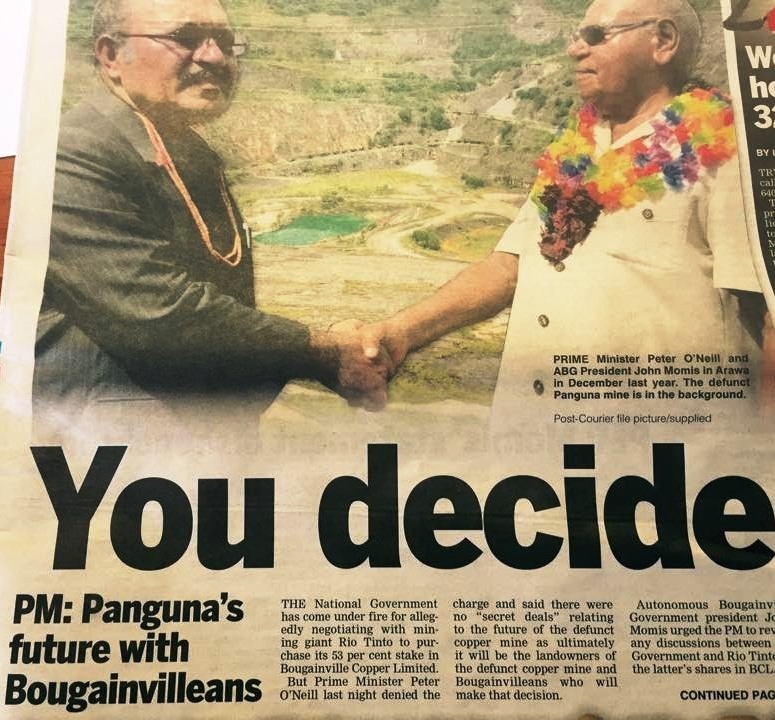 “There are no secret deals and we are disappointed that President Momis is trying use this issue at the time of the election that is taking place today. My statement in Arawa and Paguna remain very relevant today, that there are no mine opening talks until landowners and the people of Bougainville are ready.